This week we’re debuting our newest hardware star to hit shelves: Google Pixelbook. 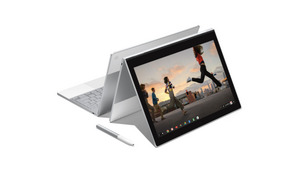 Pixelbook combines the best parts of a laptop, a tablet, and a smartphone into a new, high performance Chromebook that’s designed to fit how we use technology today. And now Pixelbook can be yours, starting at $999. Here are 10 ways Google Pixelbook, along with its companion the Pixelbook Pen, are standout performers. 1. Does it all. Pixelbook is fully convertible so it can adapt to any situation or task. With a 4-in-1 design, you can use it as a laptop for work or school, as a tablet to read a book or take notes, in tent mode as you follow along with a recipe in the kitchen, or flip the keyboard underneath and prop it up to watch your favorite show or movie. 2. This show goes on the road. Pixelbook is our thinnest and lightest laptop ever—just 10.3mm thin and about 1 kilogram light—making it super portable. 3. Knows its lines (even without the script). With Google Drive, Pixelbook automatically backs up your most recent Google Docs, Sheets and Slides files so you can keep working, even without an internet connection. 4. A VIP pass to all the best apps. Pixelbook supports Google Play, so you can use all the apps you know and love...right on your laptop. Download Netflix to watch your favorite series on the commute, even offline, or use Adobe Lightroom to edit a photo before you post it to Instagram, right from your Pixelbook. 5. Roll out the red carpet. Pixelbook is the first laptop with the Google Assistant built in. Just say “Ok Google” or press the dedicated Google Assistant key to send a quick email, create a new doc, get the details of your next calendar event and more. With Pixelbook Pen, you can simply press and hold the button on the pen and circle text or images on your screen to get more information or take action. 6. The show must go on… and on. Pixelbook boots up fast and keeps going, with up to 10 hours of use. When you’re low on juice, just 15 minutes of charging will get you up to two hours of use. 7. Everything’s buttoned up backstage. Your Pixelbook comes with the speed, simplicity and security of Chrome OS, which means it will automatically update when online with the latest software and it won’t slow down over time. It’s also protected from malware with multiple layers of protection and encrypted data with tamper-resistant hardware. 8. Autograph-ready. 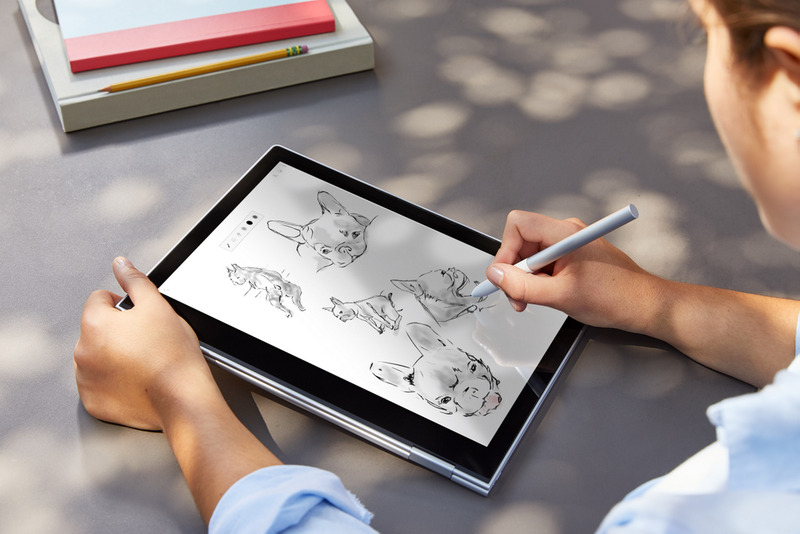 Pixelbook Pen gives you a natural writing and drawing experience with virtually no lag—plus tilt-support and pressure sensitivity. 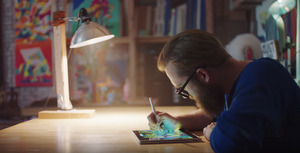 Take notes right from the lockscreen with Google Keep, draw with Infinite Painter, and more. 9. Has its own entourage (just like the biggest stars). Your Pixelbook works seamlessly with your Pixel phone so if you’re not within range of a Wi-Fi network, you can use Instant Tethering to automatically connect your Pixelbook to your phone’s mobile data connection. 10. Can fit your whole reel. Pixelbook comes with three storage options going up to half a terabyte (that’s a lot) of on-device storage so you can easily store your favorite shows, movies and music too.